Self-driving vehicles, also known as autonomous or driverless cars, use a variety of techniques and technology to navigate roads, parking lots, and freeways. Regulations for this new technology are changing every day, and with self-driving cars hitting the roads in some states, it’s important to know your rights when involved in an incident with an autonomous vehicle. Here at The Law Offices of Alex R. Hernandez, Jr. PLLC, our educated and experienced staff are always dedicated to making sure you are protected in the event of a car crash, even if the accident involves an autonomous vehicle. Injured In A Car Accident? Call Us Today! Providing safe and reliable vehicles to their customers is something that most car companies value. But how safe can an automated car really be? If you’ve ever owned a phone, television, or computer, then you know that technology does not always behave how we want it to. When your safety is dependent on the execution of self-driving technology, then it is vital that the technology performs correctly. That didn’t happen last year when the first and only reported fatal accident involving a self-driving car occurred. A Tesla Model S electric car was fully engaged in self-driving mode when it was involved in an accident with an 18-wheeler. The autonomous car failed to detect the white tractor-trailer against the bright sky, causing the car to collide into the truck, killing the occupant. While this event was obviously tragic, it is also an incredibly rare occurrence for driverless cars. A vast majority of accidents involving self-driving cars are caused by third-party vehicles and human error, not by technological oversights. Considering that over 35,000 people are killed in fatal car crashes each year in the United States, automated vehicles show potential for increasing driver safety. Many states, including Nevada, California, Florida, and others, have passed legislation allowing the testing of fully automated cars on public roads. Other states have passed legislation related to autonomous vehicles, outlining regulations on supporting research, technology, and testing of self-driving cars. Here in Texas, there has yet to be any legislation passed allowing or prohibiting driverless cars on public roads. 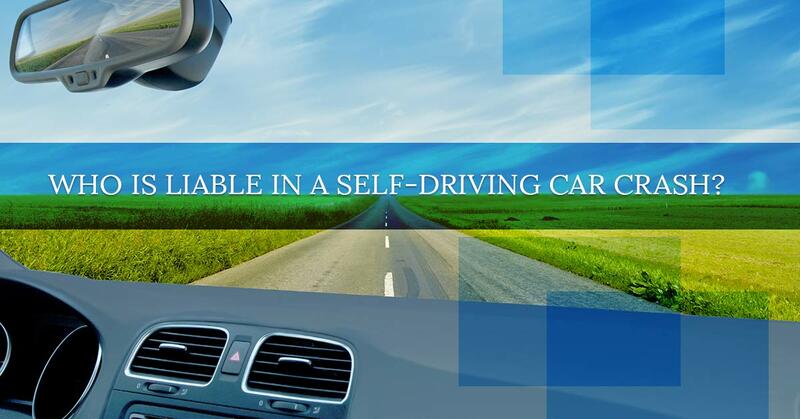 However, in April of this year, a bill was introduced to the Texas Senate Transportation Committee that, if passed, would allow the testing of fully-automated cars on the road. Who is Responsible In A Crash? As more and more driverless cars hit the road, the fear of incident rises. If an autonomous car causes a crash, who is liable? Is it the occupant who put the car in self-driving mode? Or is it the manufacturer, whose technology failed to prevent an accident? Or maybe even the state, for allowing self-driving cars to operate on their roads? The not-so-simple answer: It depends. As new regulations pass surrounding driverless cars, it is clear that this is not a black-and-white issue. In some instances, it depends on the car involved. Last year, Volvo offered to take full liability for any injuries or damages caused by its automated driving system. This decision stemmed from a confidence in the car’s technology, and backup technology – including backup brakes, cameras, computers, and radars. Other automakers, like General Motors and Cadillac, place responsibility on the vehicle occupant, insisting that they need to remain fully alert and ready to react, even when the vehicle is operating in autopilot mode. While some carmakers have stated who would be responsible in the event of an autonomous vehicle crash, studies have shown that injuries sustained due to technological failures in driverless cars actually fall under product liability law. Product liability refers to the manufacturer of a product — from toys, to phones, to self-driving cars — being held responsible for a defective product that causes personal injury to the consumer. If you have suffered or caused a personal injury as the result of an autonomous vehicle incident, contact our educated staff at The Law Offices of Alex R. Hernandez, Jr. PLLC immediately. With new legislation regarding driverless cars being introduced every day, it is vital to have an expert on your side to help navigate you through this confusing case.